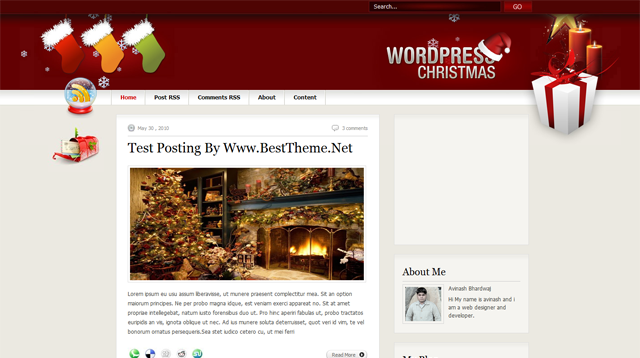 Christmas blogger template is a gift to all people around the world. This template have two column sidebar with three column footer. Two navigation bar and a nice social widget in every post so your user can easily share your posts. From last few templates i was getting some comment that there are some problem/bugs in internet explorer so i am now testing and fixing all bugs in previous templates and from now all of my template will fix upto IE7. Now this template is gift from my side. Happy holidays.